I was sent The Beard Oil Men ‘Smoky Woodness’ Beard Oil, its scent is one that I haven’t come across in a beard oil or balm before, its called ‘Smoky Woodness’ and it is exactly that. It’s a base of Jojoba, Argan, Sweet almond and Vitamin E carrier oils into which is blended Sandalwood, Pine, Cedarwood and Vetiver essential oils. I have to put the beard products in line in the order that I receive them and so its taken almost 20 days until it’s been tested and I can review it and I couldn’t wait to try this oil. It reminds me of those smoke houses that have been used for years, the smoke isn’t string though, it’s a subtle smokiness with a woody and slightly floral note. I was actually confused as to where the smokiness came from, The Beard Oil Men say on their website that it’s from the Vetiver and yet I have never got Smoky from Vetiver before and so I did some research, it turns out that the Vetiver from Haiti that produce 80% of Vetiver is floral as I know it, however the Indonesian Vetiver from Java is smokier. The ‘Smoky Woodness’ from The Beard Oil Men who are based in Tasmania gave my beard a decent amount of hold for an oil and the unique scent is a pleasure, its great at keeping your beard looking and feeling good and the carrier oils used will help to keep your skin healthy and keep your beard in tip-top condition. 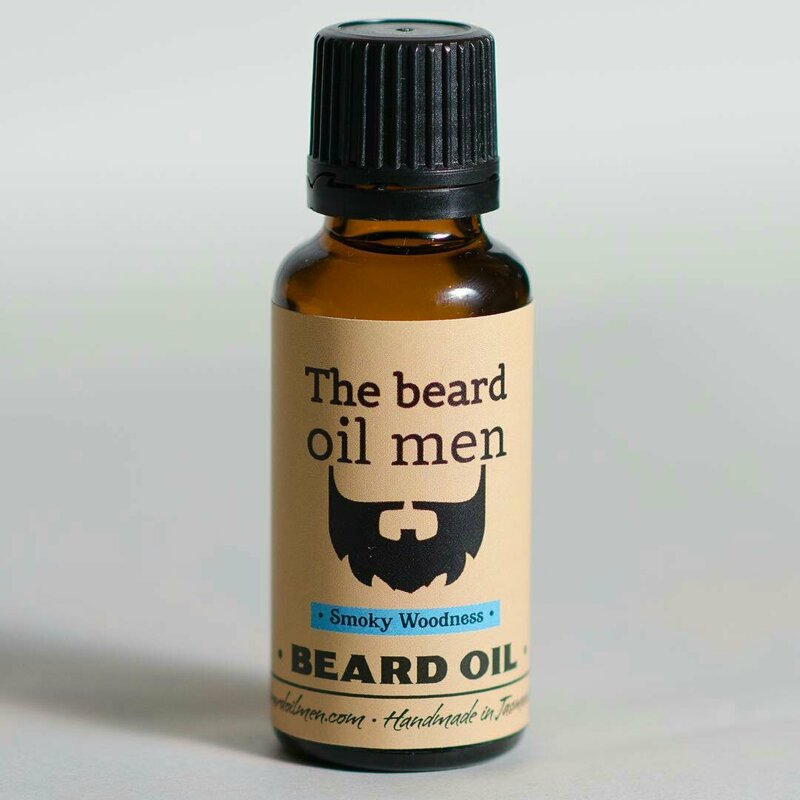 The oil is available from the website and comes in a 25ml bottle for $30 (Australian) and The Beard Oil Men also sell oils in Mint Fresh, Tasmanian Wilderness and Wild Orange scents. This is what they say on the ‘About Us’ page. As all us bearded men know it’s a challenge to find products that live up to the expectations of our glorious beards needs. We need quality that surpasses mass produced rubbish that has no quality control. Products that haven’t even been used by the companies owners. Some of these companies don’t even know the care that your beard needs. Dare I say that some of these companies owners don’t even have a luscious beard to care for. We need some great products for the greatest asset we have. The beard oil men have created some of the best oils and balms ready for your awesome beard. Itchy beards will be long gone. The awkward beard dandruff a thing of the past. You will be able to wear that black shirt and look sharper than ever. The oils soften your beard and tame the stray hairs keeping it looking and feeling fantastic. The oils come together to create scents that can only be described as heavenly. They take you away to a place where great men do the manly things we need to do. Like chopping wood, smoking meats and riding motorbikes. Lets not forget about loving beautiful women, which you will have to do a lot more because they wont be able to resist a handsome bearded gentleman that smells like a god. With all these benefits it would be crazy not to get oiled up and start living the bearded lifestyle. It’s a hell of a ride. Why not smell, look and feel great? Everyday i wake up and care for my awesome beard I feel great within myself. It’s like another child. It’s up to me to look after it. I want people to admire it. I want ladies to smell it. I want to be complimented regularly. I need to make sure it’s in top shape at all times. The beard oil men will not let anyone down. Its been tested on beards and the results speak for themselves. Soft flowing manes that ladies want to feel and smell. It’s great being a beardsman.